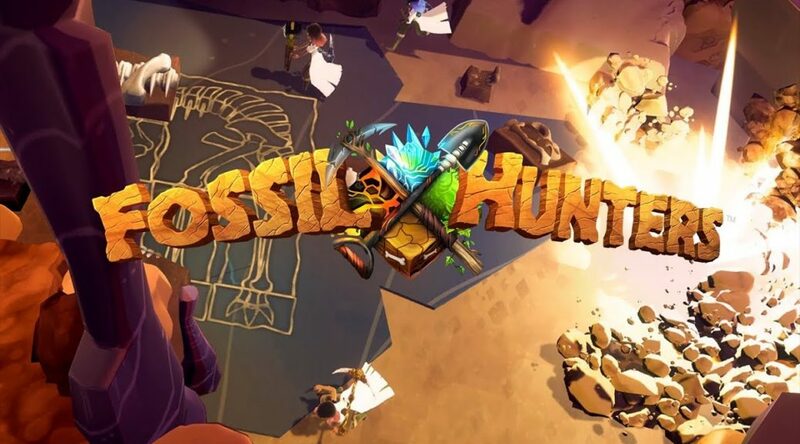 Fossil Hunters, a casual action adventure game about digging fossils and building your own dinosaurs, is launching June 28, 2018 on Nintendo Switch. The game supports local play for up to 4 players, with drop in and drop out support. Fossil Hunters is a casual action-adventure game about digging for fossils and building dinosaur skeletons. In a group, Fossil Hunters is a frantic Magicka-like experience, where reckless behaviour can cause a lot of fun and excitement. Playing solo, or as a co-operative couple, it takes on more of a Minecraft-like build and explore feeling.